Street food is the heart and soul of India. If you want to feel the real taste of India then you need to try street food here. Coming to the land of street foods Punjab, in this blog today I am going to tell you the best 9 street foods of the state. Punjab is the land of food lovers, who enjoy nothing more than a heavy meal washed down with a glass of lassi. Whether it is the food or street food of Punjab, every food item here amazes people. Day at Punjab starts with a heavy breakfasts and it ends up with delectable dinner. Punjabis know nothing about moderation when it comes to food and love to add lots of butter and spices in their food. Despite the fact the Punjabi food is not very health friendly, the fan following of this cuisine is on an increase around the country as well as the world. The street food of this state is very popular among locals as well as tourists, as you can enjoy a full meal at a very small price. If you are a foodie then Punjab is a place that has to be included in your bucket list. As a part of my blog, today I am going to highlight the 9 best street foods of Punjab. So let us start the journey now. If it is Punjab then it is Chole Bhature of course. 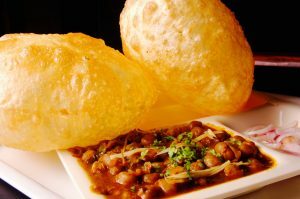 You can compare the love for chole bhature by this that, it has fans all over the world. So, it is not only in India where this street food is famous but the whole worst is fan of this food item. This wholesome meal consists of boiled chick peas cooked in spices along with crispy fried bread (bhatura) accompanies with pickle and chutney. It is best served at breakfast or lunch. Another delicious Punjabi street food is a specialty of the city of Golen Temple, Amritsari Kulcha, which is a special kind of parantha stuffed with mashed potatoes and other chopped vegetables, cooked till crisp in tandoor and topped with a dollop of butter. It is also served with chana (chick peas) and curd. The best part of this street food is that, you can get it all over Punjab and if you are looking for this in Delhi, you can find a tasty fusion too. Amritsari is another hot favorite on the list of best street foods of Punjab. This deep fried fish delicacy prepared with lots of masala, has a wonderful flavor you will find nowhere else than the city of Amritsar. If you are in Amritsar, don’t forget to try this most delectable street food because missing this missing a lot for you. Whole world is a fan of Tandoori Chicken, but do you know that it is a gift of Punjab to the world. A healthier street food option in Punjabi food is the roasted or tandoori chicken, which is given an amazing smoky aroma and taste because of being cooked in a tandoor over burning coal. It is coated with butter, lemon juice and a special masala to make it tangier. Samosa is the best Indian street food because it has the feeling inside. 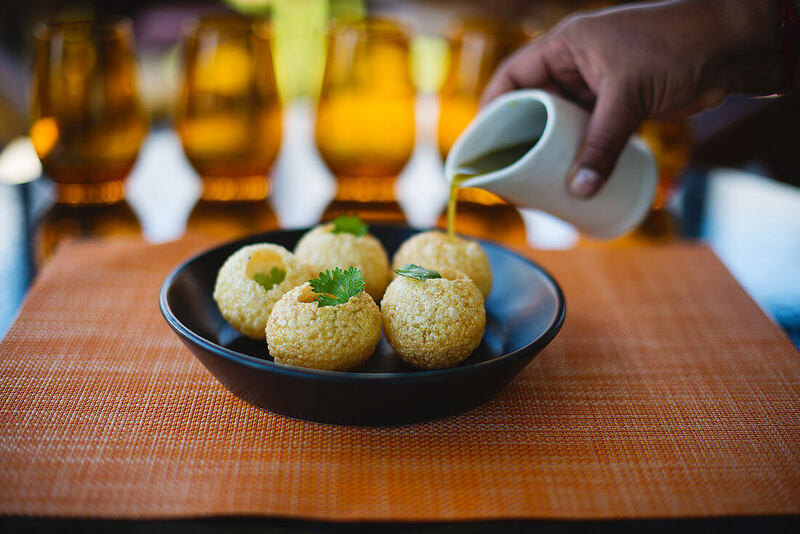 Well, this is a snack that will complete your food journey to Punjab. 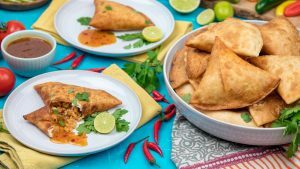 A quintessential tea party dish in Punjab is the samosa, a triangular shaped piece of dough, stuffed with spiced up mashed potatoes and deep fried till golden brown. The crispy treat literally melts in your mouth and tastes delicious as an evening snack. Chaat is another one of the top street foods in Punjab. It is made by heaping up papdis, vada and boiled potatoes pieces, with lots of curd, tamarind chutney and spicy masala. You can find the love for Chaat all over India and abroad too and why not after all it has the most delicious taste. 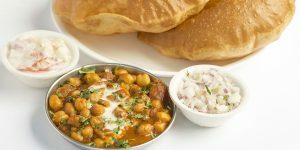 A slight variation of chole bhature is puri chole, which differs in respect that puri is made of whole wheat flour which has not been fermented as in bhatura, but this is what makes a whole lot of difference in its taste. The dish is served with chole and aloo bhaji. It tastes best accompanied with Amritsari lassi. The authenticity of food is real spices and loaded and a chole loaded with butter. This is best complemented with lassi. Punjab without lassi is a big no. Amritsari Lassi is the best street food to wash down your meal and at the same time cool you down on hot summer afternoons. It is a real treat, made by churning up curd with sugar and lots of ice. A trip to Punjab without Amritsari Lassi is considered incomplete. 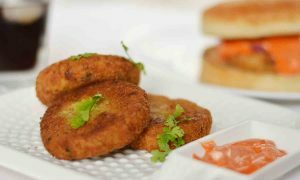 Last but not the least is Aloo Tikki in my list. Aloo tikki is another popular street food in Punjab, which consists of fried potato chops heaped with curd, onions and lots of tamarind and mint chutney. It is a great tasting evening snack. Punjab is all about food and there is no doubt in this. If you are looking to have the best street food in India then you should head towards Punjab. Describing street foods of India without these 9 inclusions would not be justifiable thing. All these street foods are must-try items if you are planning a trip to Punjab. The best part about these street foods is that, it is liked all over the world. If you are planning to do something in the field of street foods then Chat Ka Chaska is here with the best offer for you. They are offering street food franchise in different Indian cities. You can take the name of brand and can flourish your business in that way. This is going to be the best place for investment where the return is guaranteed for sure. I hope you have liked my blog. Do write to me for your queries and concerns.